Factors That Up the Cost of Land Clearing | Mr. Tree, Inc. Which Tree is Right For You? The cost of land clearing often varies, and that’s obviously due to the size of the project and the specifics as to what goes along with it. That means you could be talking a few hundred dollars or several thousand, depending on exactly what kind of work you’re looking to have done by an area tree service. What factors come into play? According to improvenet.com, there are several. People often forget about the permitting process, which often is required for any major overhaul, especially if it’s a sizable piece of land. If the area tree service is going to incur costs associated with local zoning or planning departments, it’s going to be you that’s ultimately footing the bill. As mentioned earlier, the size of the land being cleared is a major factor. The bigger the land, the more it costs to clear. Costs could estimate up to $2 per square foot or even higher if it’s an area with a heavy tree presence. Those costs can add up quickly and could become prohibitive if you’re on a fixed budget. Haulage and disposal are other factors contractors consider when pricing you for land clearing as they may have to remove unnecessary waste products from the project site. It could cost less if conventional tools are used, but if it’s a project that requires a lot of work by hand, that will increase the time it takes and ultimately, the cost of the clearing. Think about the expensive saws, drills and other tools you’ll need to get such a job done. It’s simply not worth it. It’s best to just let the local area tree service handle it. Bad weather is also a major factor. If there’s a big storm, contractors will be in high demand to clear land, thus raising their prices. Also, if the bad weather comes mid-job, then your work may take extra long to complete as contractors can’t compete with the unpredictability of Mother Nature. Some things, such as bad weather, are impossible to predict. If you’re under time constraints, leave yourself time to get plenty of options and quotes quickly, because the faster you get started, the faster you get finished. After the work is done there’s also clean-up that needs to be taken into account to move on to the next stage of construction. Once again, if the clean-up is substantial, then they may up your price. You can always do some clean-up yourself, but that takes time and manpower, which is why customers often just rely on the professionals to do the job right. Other costs for you if you take the do-it-yourself method include supplies and materials. Ultimately, it’s recommended to let those who have years of experience take care of the work. According to Cost Helper, costs can also vary based on whether the property is “flat, sloped, grassy, brushy, lightly wooded, heavily forested or a combination of these conditions.” Different terrains can lead to different costs. For example, hiring a land clearing company to clear up flat land with only a few trees can cost between $500-$2,000 per acre or more depending on the size of the land parcel. There’s also ways to save money. Some logging companies or firewood places will not only come and remove the excess wood, but they’ll pay you for it. Again, that’s not to say that all of them do it, but if you contact your State Department of Conservation, they should be able to steer you in the right direction. It’s always good to ask around to friends, family member, and business associates to get as many contractor recommendations as possible. You want to make sure you go with someone that you not only know, but trust. Get as many estimates as possible, and ask for other references. Call them and do your due diligence, because you want the job done right the first time. Ensure you conduct background research on any company you are considering. That means checking with the Better Business Bureau and other consumer organizations. Any reputable contractor first comes to take measurements and survey the land. They’ll give you their expert opinion on the full scope of the job, and they’ll quote you a price. Feel free to try to negotiate because the worst possible scenario is they say no and your price remains the same. It never hurts to try. You should get what you want, but at the right price. 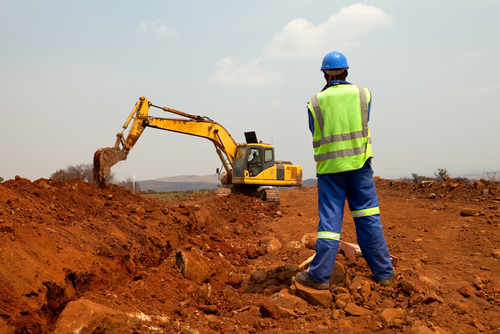 Ultimately, there are many factors that come into play when looking into having land cleared. Obviously, land size and the state of the land would be the two biggest factors, but ultimately, there are ways to help offset the costs, as mentioned earlier. If the area tree service you contract with is reputable and trustworthy, they will do whatever they can to get the job done right and give you the best bang for your buck.